Danielle Spangler is a passionate and dedicated clinical counseling intern at North Coast Family Foundations. Danielle is in last year at Grand Canyon University, gaining an M.A in Professional Clinical Counseling; she also has her B.A in Psychology from Grand Canyon University. Danielle works under the supervision of supervision of Charles F. Misja, Ph.D., Psychologist. Danielle was a private school teacher for many years and loves working with children, along with children who are on the spectrum with various disorders such as ADHD, Autism, Social Pragmatic Communications Disorder, etc. She also enjoys working with teens, adults, families, and couples helping with anxiety, depression, self-body image issues, stress, self-harm, aftermath of divorce, grief, marriage issues, parenting issues, pain-management, and spiritual growth using Motivational Interviewing, Cognitive Behavioral Therapy, Reality Therapy, Mindfulness, and solution-focused therapy. 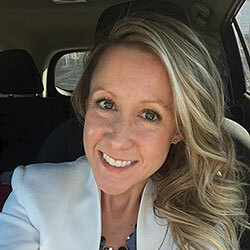 Every client is unique therefore Danielle personalizes each approach that best suits the client using practical evidence-based tools and coping skills that one can obtain in daily from a holistic approach, focusing on the mind, body and spirit of the client.